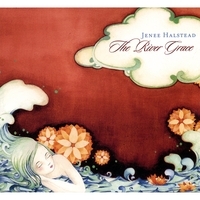 In a cavernous living room lit with the glow of 24 candles, Jenee Halstead and her band start to play. There are no wires, spotlights or microphones, simply a half circle of four musicians standing in a corner. The scene brings to mind a Depression-era campfire, not a suburban house concert a few miles south of Boston, with well-to-do guests nibbling catered barbeque and sipping wine from long-stemmed glasses. The near-absence of light makes such a mental leap more possible. The group’s strumming forms are mere shadows; the hazy darkness punctuated by fiddle salvos, deft guitar and mandolin runs, and Halstead’s quivering, sweetly crooning voice. Though the music is deep and distant, the story behind its creation is as modern as an iPhone. Using MySpace, Facebook and other technology tools of the independent music trade, talents were verified, reputations vetted and friendships cemented days, even weeks before anyone met face to face to play songs that would make Woody Guthrie smile in approval. Or even George Clinton, as Halstead’s rapidly assembled network of bluegrass purists, an old school producer, his song doctor wife and some electronica-affected friends combined to make “The River Grace,” a pitch perfect blend of traditional picking and modern tweaking. Old time, meet Internet time. Smith, who manages the venerable Cambridge folk institution, which just celebrated its 50th anniversary, told Halstead he liked her stuff and to keep in touch. He also mentioned her to some of his friends. Guitarist Andy Cambria answered the ad. “I heard her stuff and knew right away that she could be in front of a band,” he says. Five weeks and a flurry of e-mails later, they were playing together. “Out of the blue, I got an email from Evan Brubaker, saying Matt Smith told me to check you out.” Though she had long lived in the same city as the producer, Smith’s e-mail was their first introduction. “I’m totally horrified that you lived in Seattle for nine years and I never knew about you,” wrote Brubaker to Halstead. Halstead’s songs are at once beautiful and tinged with night-sweat inducing dread – Appalachian gothic tales of fear, suffering and salvation. Things aren’t simple, meanings are never quite clear. 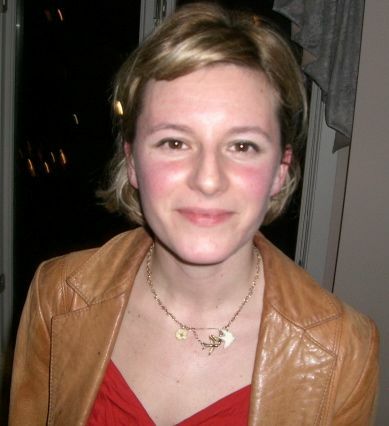 Though she describes herself as “non-religious but spiritual,” themes of heaven and hell abound. Death is a constant companion. If Flannery O’Connor were raised in Spokane, Washington, listening to her father’s Led Zeppelin albums, she might have sounded like this. On the title track from “The River Grace,” a woman struggles to live in a time of war. When, at the song’s bridge, she implores, “embrace the undertow/take me home,” it’s not certain whether she’s praying to be carried across the waves or beneath them. A crime spree at the heart of “Darkest Day” echoes Robert Earl Keen’s “Road Goes on Forever,” but the tragedy at song’s end is more palpable, the heroine’s devastation permanent. Then there’s “Dusty Rose,” a song that seems lifted from Loretta Lynn’s Jack White sessions. It’s either a murder ballad or the final sad chapter of “Stand By Your Man” – the singer won’t tell. Halstead – her first name rhymes with Renee – says her songs are “stories of people’s lives that came to me subconsciously.” Whether the narrator of “Dusty Rose” is a killer or a grieving widow is something she emphatically doesn’t know. “It’s a healing thing to let them go,” she continues, and let others decide their meaning. That’s a sentiment she shares with another songwriter, Patty Griffin, who once likened her songs to children set free in the world. The first Velvet Underground record didn’t sell a lot of copies, but (so the legend goes) everyone who bought one started a band. The same is probably true of Patty Griffin. Not a lot of people heard “Living With Ghosts” when it came out, but many young women – including Jenee Halstead – did, and were inspired to buy a guitar and a notepad. “I don’t think I started writing songs because of her,” Jenee says, “but I think she gave me the impetus to really get on my guitar and try to do some emotional mining. A couple of things, however, gave her pause. Brubaker’s biggest idea of all was perhaps the one that took the most getting used to. “I couldn’t imagine how keyboards fit into the old-time sound,” countered Halstead. Co-mingling beat samples with mandolins, dreamy organ excursions and Dobro flourishes is, to say the least, unconventional. But it infuses “The River Grace” with adventure and irreverence, transforming it from a merely good folk album to a pivotal record that comes along once in a generation to invent a new musical language. Townes Van Zandt died young at 52, but he was lucky to have made it past 30. 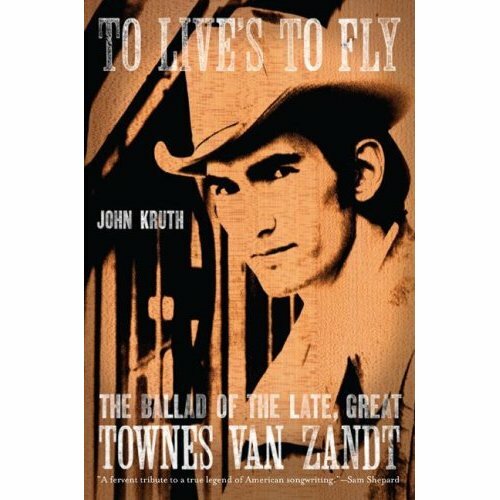 The subtitle of John Kruth’s biography refers to a 1973 album, “The Late Great Townes Van Zandt,” which got its’ title from the time in 1972 that the singer clinically died – twice – after a heroin overdose. Sadly, Van Zandt’s own records didn’t sell well, a fact Kruth attributes to poor management and the singer’s lack of creative control in the studio. Over the course of his career, Van Zandt re-recorded many of his best songs, both live and in the studio, trying and failing to get the perfect take. Often, says Kruth, excellent work was obliterated by overdubbing. It wasn’t until tunes like “Poncho and Lefty,” “Tecumseh Valley” and “If I Needed You” were covered by the likes of Willie Nelson, Emmylou Harris to Bob Dylan that the world outside Texas began to notice Townes Van Zandt. In death, his reputation as the best songwriter to ever come out of Texas is undisputed. Kruth’s book is hamstrung a bit by its’ hagiographic nature, conflicting memories and the absence of some key voices. Susannah Clark is working on her own book, so the author had to rely on a few quotes from other sources to communicate her close friendship with Van Zandt. Some of Van Zandt’s close friends were reluctant to speak with Kruth, a fact used to entertaining effect in an exchange with Guy Clark (married to Susannah). Before agreeing to talk, the songwriter grills him mercilessly, phoning Ramblin’ Jack Elliot in an attempt to call his bluff. “Jack, I got this little Yankee journalist here who says he knows you,” sneers Clark, then hands the phone to Kruth. There are festering rivalries between many of the principles that leave the reader wondering about the real stories at the heart of the book. Longtime manager Kevin Eggers and Townes’ third wife Jeanene Van Zandt, for example, had a bitter relationship before and after the singer’s death. Often, each reports a different version of events, forcing intermediaries to provide clarity for certain incidents. Engineer Eric Paul stood between the two while trying to mix a 1990 session using a group of backing vocalists that Jeanene termed “cheesy” and Eggers likened to Elvis Presley’s Jordanaires. “I did my best!” says the exasperated Paul, who claims that Van Zandt was “quite proud” of the finished work.. The author attempts to solve the problem of multiple recollections by introducing an abundance of voices to Van Zandt’s narrative. This is a problem. As Kruth notest early on, “Townes was everyone’s best friend.” Often, the telling of a single story resembles a gaggle of hung-over drunks trying to explain the events at last night’s party. That’s a challenging task for the best of writers, let alone an unabashed fan who’s given the singer’s widow “my guarantee that I wasn’t out to lionize her husband for all the wrong reasons.” Any honest biography would suffer from such stipulations. Still, “To Live’s To Fly” managers to ably gather the threads of Townes’ Van Zandt’s life. But Kruth can’t avoid, as he puts it, “glorifying tragedy.” He’s writing about a subject whose best work was at times utterly morbid, and who wrote lines like “the end is coming soon it’s plain/and a warm bed just ain’t worth the pain (“Tower Song”). David Mallett brings folk music with a northern perspective to the Claremont Opera House this Saturday, but listeners would be surprised at where the Maine native goes for inspiration. This eclecticism extends to Mallett’s family. HIs son fronts Lab Seven, a Portland-based hip-hop band that’s built a strong regional fan base. You’d expect a folkie who cites the Kingston Trio, Johnny Cash and Stephen Foster as influences to run screaming from the room at this, but not Mallett. David Mallett’s own musical journey began as a teenager, when he and his brother performed as the Mallet Brothers and made music inspired by the family team of Don and Phil Everly. They recorded a few 45s, and hosted a variety show on a Bangor television station. Mallett befriended Noel Paul Stookey of Peter, Paul and Mary fame in the mid-70’s, and made his mark with “The Garden Song,” a tune that’s been covered no less than 150 times, by everyone from Arlo Guthrie to the Muppets. Over the years, it’s been used to sell garden equipment in Spain, fertilizer in Ireland, and it’s also a regular on the Today show, which uses it for a recurring gardening segment. Mallett spent 10 years in Nashville among a songwriter’s clique that included Lyle Lovett and Nanci Griffith (who recorded some of his songs). He co-wrote a few successful country tunes with Hal Ketchum, and had a small hit with “This Town” in 1993. But as soon as his kids reached high school age, he headed back to Maine. “My turf is New England, it’s my own little backyard,” he says. His home state acknowledged this in 1999, naming him one of Maine’s key figures of the 20th century. Mallett expects to showcase a few of his new songs Saturday night. No doubt he’ll also be watching in the wings when Harvard valedictorian and rising country singer/guitarist Liz Carlisle opens the show. Carlisle made a strong impression opening for Hal Ketchum in October, so fans should welcome her return to the Opera House stage.